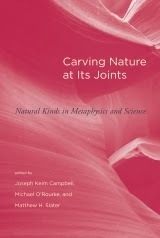 Well isn't this a handsome, well-priced, and interesting-looking volume of essays on natural kinds! Now on sale at all discerning bookshops (and some undiscerning ones too). Here's the penultimate version of the introduction co-written by one of the co-editors (me).